Fasenra (benralizumab) has been granted Orphan Drug Designation (ODD) by the US FDA for the treatment of hypereosinophilic syndrome (HES). 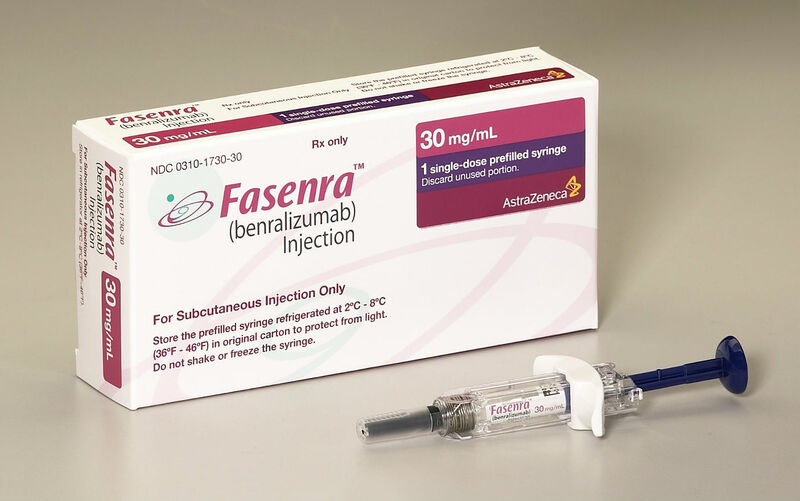 Fasenra is AstraZeneca’s first respiratory biologic and is currently approved as an add-on maintenance treatment for severe, eosinophilic asthma in the US, EU, Japan and several other countries. In November 2018, the FDA granted ODD for Fasenra for the treatment of eosinophilic granulomatosis with polyangiitis (EGPA). A Phase II clinical trial of Fasenra for the treatment of HES has been conducted by the US National Institutes of Health in collaboration with AstraZeneca, with results expected to be published later in 2019. In the trial, Fasenra depleted blood eosinophils at week 12 compared with placebo, the primary endpoint of the trial, with evidence of eosinophil clearance in affected tissue at week 24. Mene Pangalos, Executive Vice President, R&D BioPharmaceuticals, said: “In patients with hypereosinophilic syndrome, high levels of eosinophils contribute to a range of debilitating symptoms and can even lead to life-threatening organ damage.